I wasn’t expecting a big crowd at the first 55 Football Nations game in Georgia. My recent casual examination of attendances across Europe’s leagues put the average Georgian league crowd below 1,000. But why were there only 200 people at a game involving a team from Tbilisi? 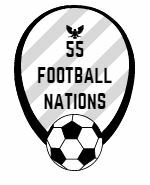 55 Football Nations interviewed Nika Jgarkava, vice president of the Georgian Football Federation. He explained that the match would have been held in Gori, 50 miles to the north west of Tbilisi, were the picturesque Tengiz Burjanadze stadium not undergoing timely renovations. The Georgians are welcoming hosts. The stunning 2015 UEFA Super Cup, where Barcelona beat Sevilla 5-4, was held in Tbilisi. Georgia are now holding the 2017 UEFA Under 19 Championship this July with three matches taking place in Gori. Nika also explained that Lokomotiv, despite the historic name, do not have a large fan base. Lokomotiv were formed in 1936 and competed in the Soviet league system. But they have had a recent spell in the Georgian second division and are under new ownership. The biggest derby in domestic Georgian football, between Dinamo Tbilisi and Torpedo Kutaisi, would see a much more fervent atmosphere than a regional team, Dila Gori, playing away at Lokomotiv. By mistake. Tbilisi has a population of well over one million. It is a pleasingly eclectic mix of influences and styles. Do the locals generally embrace watching live football on a breezy Friday night? I suspect not. The cosmopolitan and young want to be out and be seen. Tbilisi has, so far, mostly avoided the chain invasion that has marred many cities. However, there were more people scoffing burgers in the Vake branch of Wendy’s I passed on the bus than watching football in the Mekheil Meskhi stadium. American mince beats Georgian beef.